HomeCORRUPTIONLabour Party candidate expected to challenge PM Harris in the next general elections raises concern of nepotism. Basseterre, St Kitts, March 31, 2019 – The senior customs officer/accountant who is expected to challenge St Kitts and Nevis’ Prime Minister Dr the Hon Timothy Harris for the St Christopher 7 seat in the next general election says the only home that has escaped the jaws of nepotism is the Harris family home. 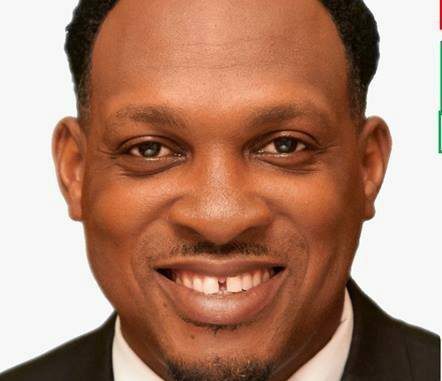 The St Kitts-Nevis Labour Party (SKNLP)’s Leon Natta-Nelson raised the issue among several matters when he went on the political platform in his hometown of Molineux. He told the massive crowd that he is aware of their suffering since the Team Unity administration took office in February 2015. “I know that nepotism has brought difficulties to your homes. The only homes that have not been affected by nepotism are the Harris’ homes. we have to change that,” said Natta-Nelson, who pointed out that Prime Minister Harris is only concerned about fixing the problems that affect his family members in an effort to continue his nepotistic ways and do not realise that the poor people of St Kitts and Nevis are being hurt in the process. Natta-Nelson referred to the quick response of the government over the decision of the Director of Prosecution, Mr Valston Graham to pull his crown counsels and other prosecution staff from the court room of magistrate Donna Harris – a sister of prime minister Harris after she ordered a crown counsel to leave her court room. “In less than 24 hours(prime minister) Timothy Harris reached to the rescue of his sister, magistrate Donna Harris. When the DPP said on Wednesday no more of his prosecutors are going to her court, by Thursday the prosecutors were re-installed. Where is the urgency to fix the concerns about the MRI machines? Where is the urgency to continue the programme of providing laptops to the primary and high school students? Where was the urgency to provide adequate housing for the people. He built 8 in 25 years as a parliamentarian and now in his capacity as prime minister only five homes have been built on Catholic Street (Molineux) and three in Christ Church,” said Natta-Nelson. He also accused prime minister Harris of not giving urgent attention to creating opportunities for the young people in every household in St Kitts. “Where is the urgency in improving the education system? where is the urgency in fighting crime? Where is the urgency in improving healthcare? asked Natta-Nelson, who noted that the first urgency of Dr Harris on becoming prime minister in 2015 was to spend a reported EC$1 million on his home..
Natta-Nelson pointing to the several family members of the prime minister who have been re-instated or appointed to top posts in the civil service and government-controlled institutions, stated there were persons who were more qualified for some of the positions. “One family takes home EC$1 million combined every year,” said Natta-Nelson. The issue of nepotism was recently highlighted during the 47th Leeward Islands Debating Competition in Antigua and Barbuda. Speaking on one of the reasons why the majority of CARICOM states are yet to adopt the Caribbean Court of Justice as the final court of appeal, Nevisian student, Zidan Wilkin, solidified the basis of the moot by making reference to the prevalence of political nepotism that has tainted the judiciary and the misconduct of magistrates and judges. Addressing what he labelled the incestuous relationship between the political directorate and the judiciary, Wilkin in his proposition pointed out that it should come as no surprise that Caribbean people have developed such a palpable distrust of the Caribbean Court of Justice. “In St Kitts, the Prime Minister is Dr Timothy Harris. The Registrar of the High Court is his sister, Ms Janine Harris. The Magistrate is another sister, Ms Donna Harris and the Chief Prison Officer is his brother, Mr Denzil Harris. Everywhere you turn is Harris again and all of these appointments took effect since Dr Timothy Harris became prime minister in 2015,” Wilkin told the thousands attending or watching live coverage of the third night of the debate.